Disaster Doctors is on call 24-hours a day, seven days a week, offering water extraction in Riverton, Utah and the surrounding areas. Whatever is plaguing your home or commercial property, whether it’s flooding from a storm, an appliance malfunction or a plumbing issue, we’ll see to it that the scope of flood damage is assessed and that proper solutions are put in place to both stem the tide of damage and start you on the path to a cleaner, safer space. When it comes to eliminating water in your Riverton home or business, the first priority is removing any standing water with our water cleanup service. Our technicians use high-powered vacuums, drainage techniques and more to alleviate the most pressing issue of standing water first, absolving you of any further destruction. 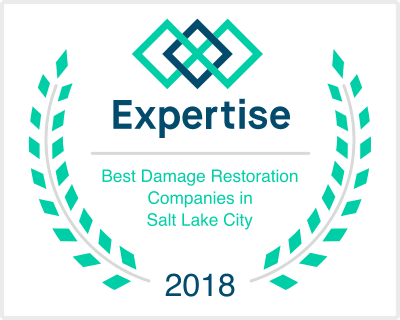 The quickest and best way to deal with the presence of flood damage in your home is to immediately seek water damage restoration in Riverton. Water removal specialists have the resources, tools and expertise to not only eliminate standing water and saturated areas, but also to deal with any negative consequences that water can bring with it. The first people of European descent to live in the area that is now Riverton settled in the mid-1850s. These early settlers scattered widely along the river bottom in crude dugout homes. Although the early accounts disagree, Archibald Gardner may have been the first to live on Riverton land. The town was originally referred to as “Gardnerville” prior to changing its name to Riverton. Riverton’s initial growth was slow because of the lack of water for irrigation. When more water became available, the town began to grow. Eventually three canals were built to extend water from the nearby Jordan River to the benchland areas, providing irrigation for agricultural uses to the larger area. Riverton is home to attractions such as Riverbend Golf Course. We provide water damage Riverton UT services to 84095.